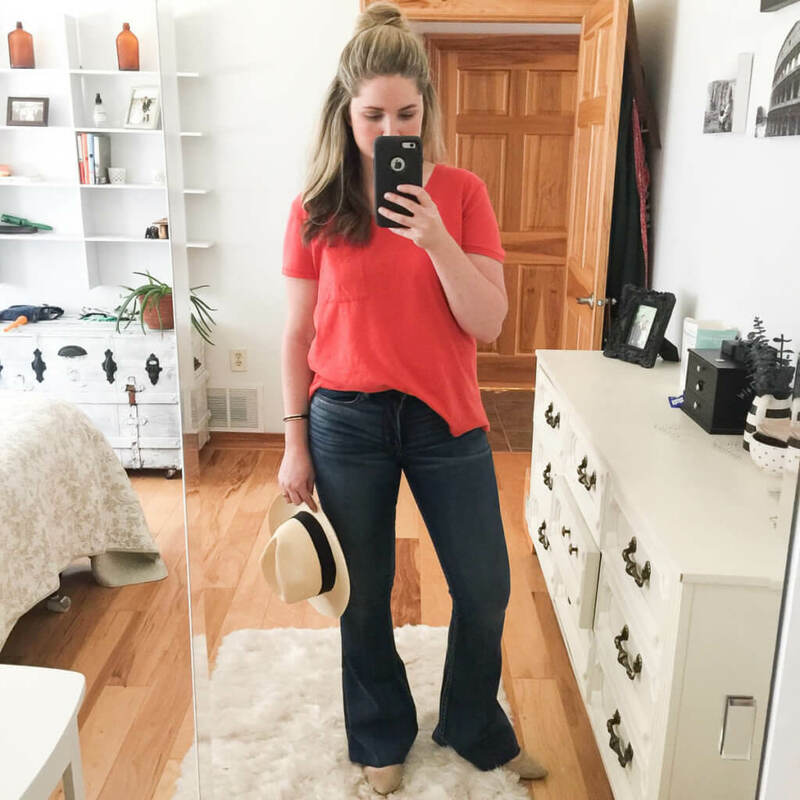 Since having a baby, I’ve fallen in love with high waisted denim…for multiple reasons – but mainly because I just feel more confident, comfortable and kept together – if you know what I mean…. 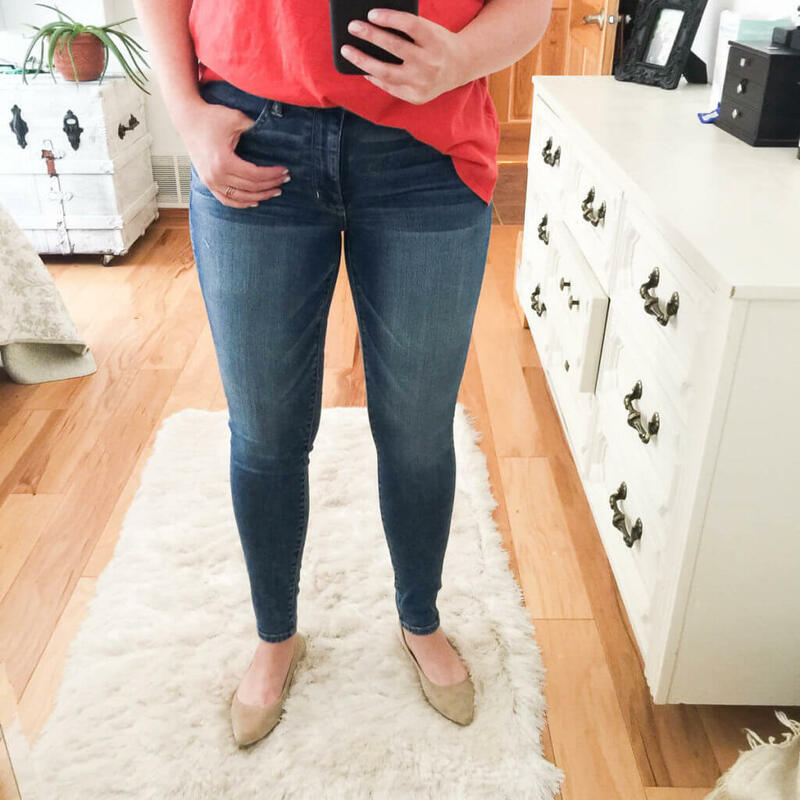 That’s why I’ve decided to bring you an American Eagle high waisted denim review! 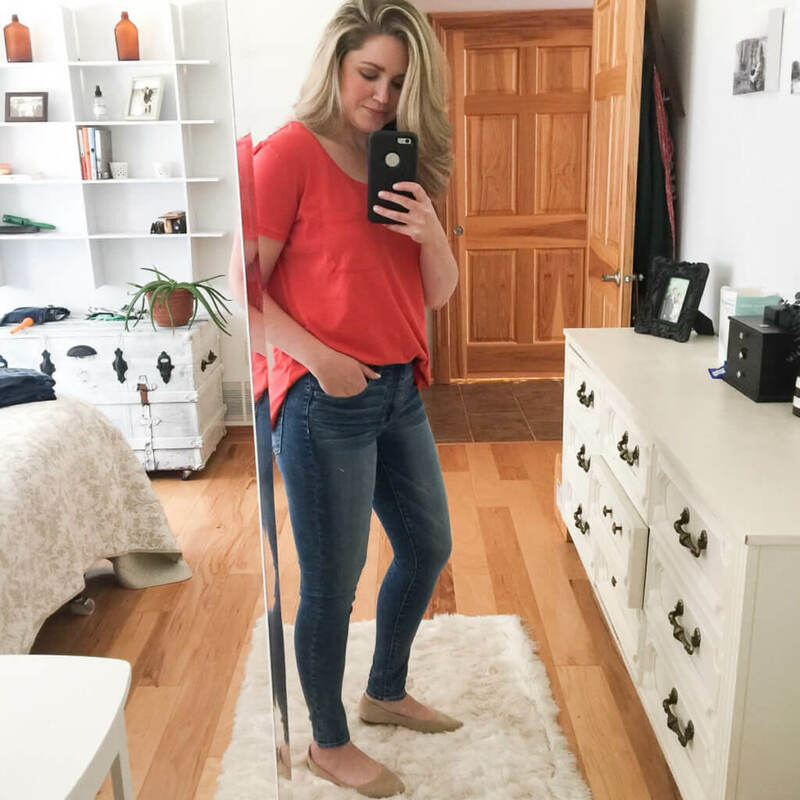 I’ve been blogging a lot about how my style has evolved and changed since becoming a mother and how I’ve been looking for more practical and functional items to fill my closet. 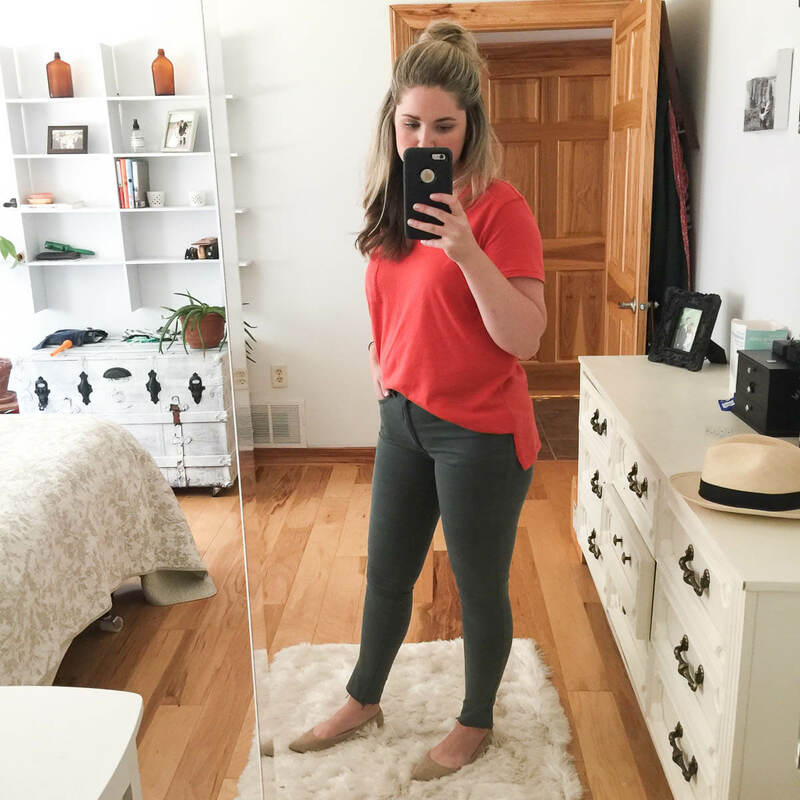 Clothing I feel good in. Clothing that mixes and matches well. Below is a review of a handful of high waisted denim from American Eagle and my ratings/thoughts. 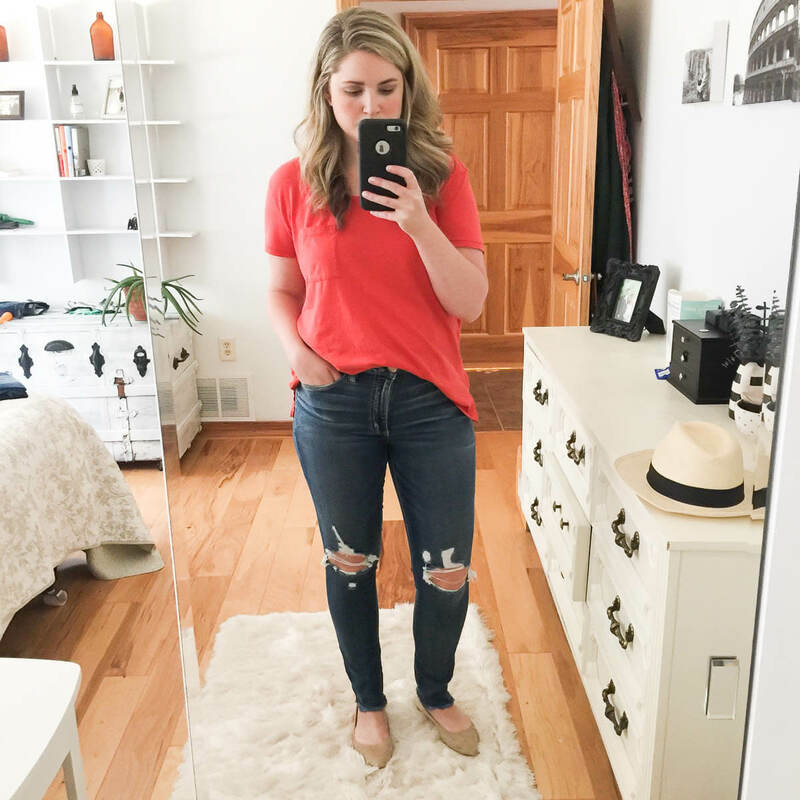 Hoping this helps you choose your next pair – and if you haven’t tried high waisted denim yet – I suggest you give it a shot! 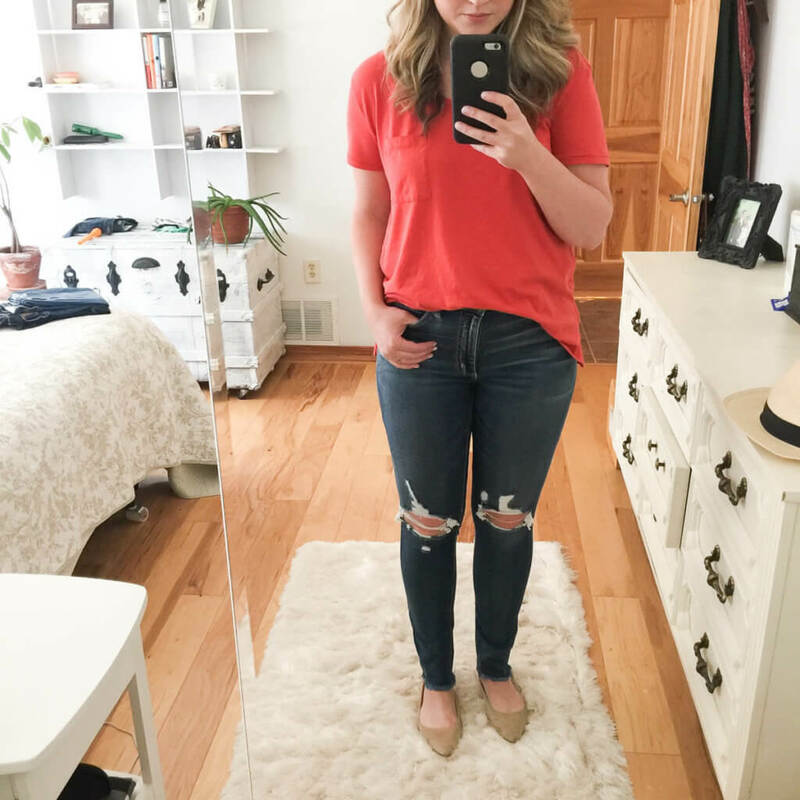 You can check out a similar post I did a couple summers back – AEO Distressed Denim Review. These jeans were so comfortable. Seriously one of my favorites from all that I tried on for this blog post. AND I had accidentally purchased a size 6 – so they were a little snug for my liking. An 8 or 10 would have made me keep them! The material was SUPER soft and flexible and I loved the frayed edges on the ankle seam. The color says “gray” but I felt they looked more “olive”. Either way – REALLY liked this pair. 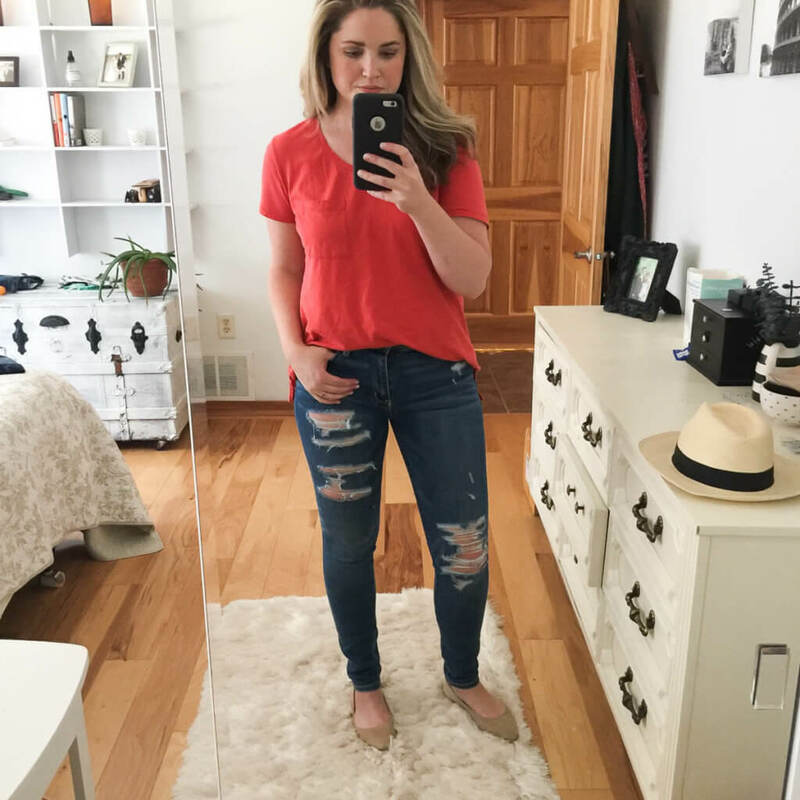 I am really surprised at how long the torn denim trend has been hanging on…and I don’t necessarily hate it. I have a pair of Tomgirl jeans from AEO that I got last summer and I love them. 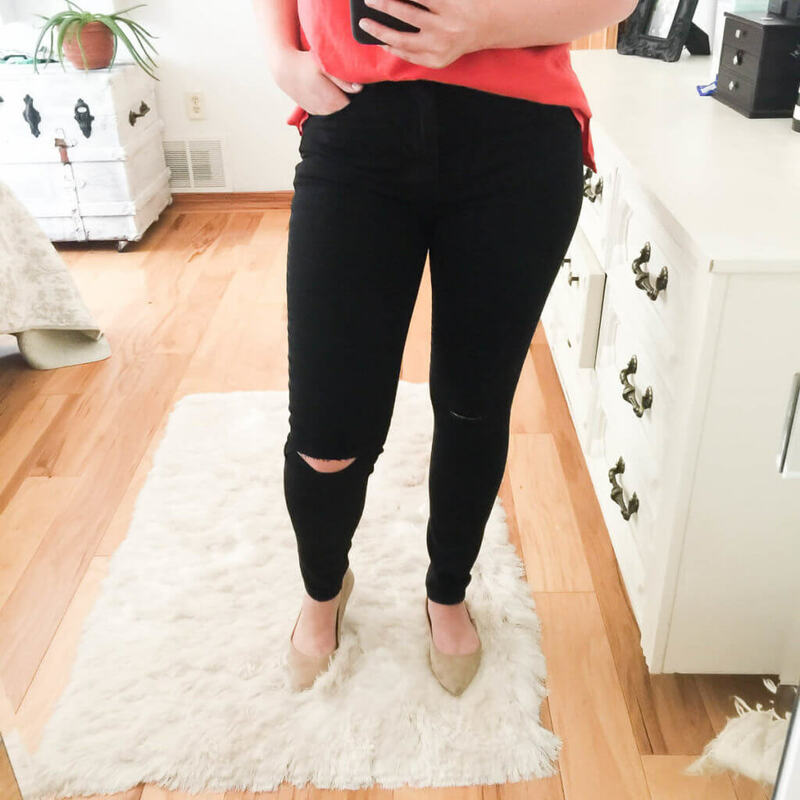 This particular pair of hi-rise ripped jeans were super comfortable and I am not one to love a thigh rip…(battle of the bulge there) but the jeans themselves had a nice elasticity to them that made the thigh rip appealing. Definitely liked them a lot more than I thought I would! 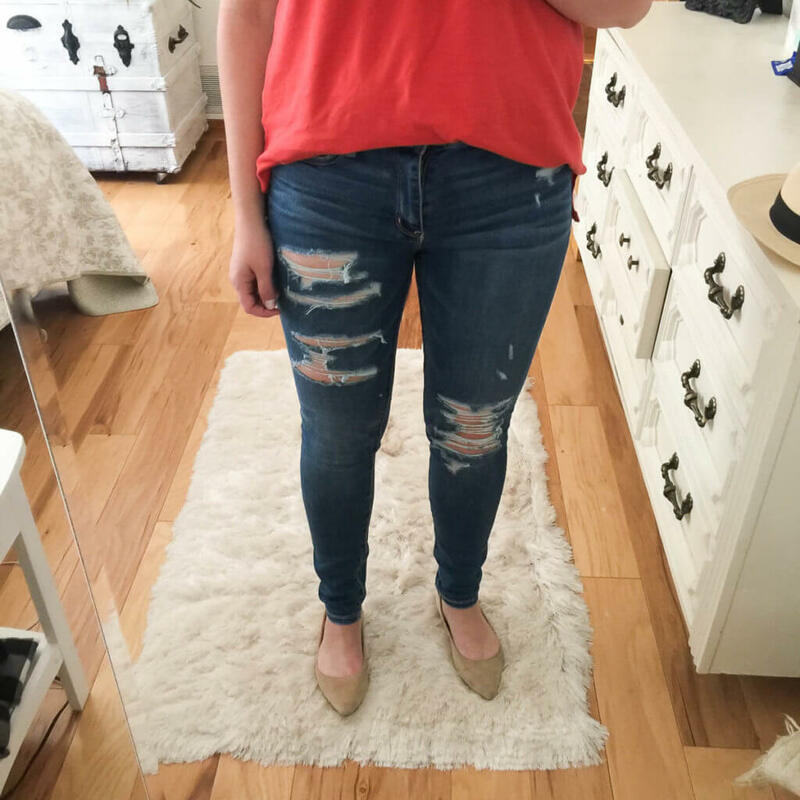 The good ole’ classic double knee rip jeans. 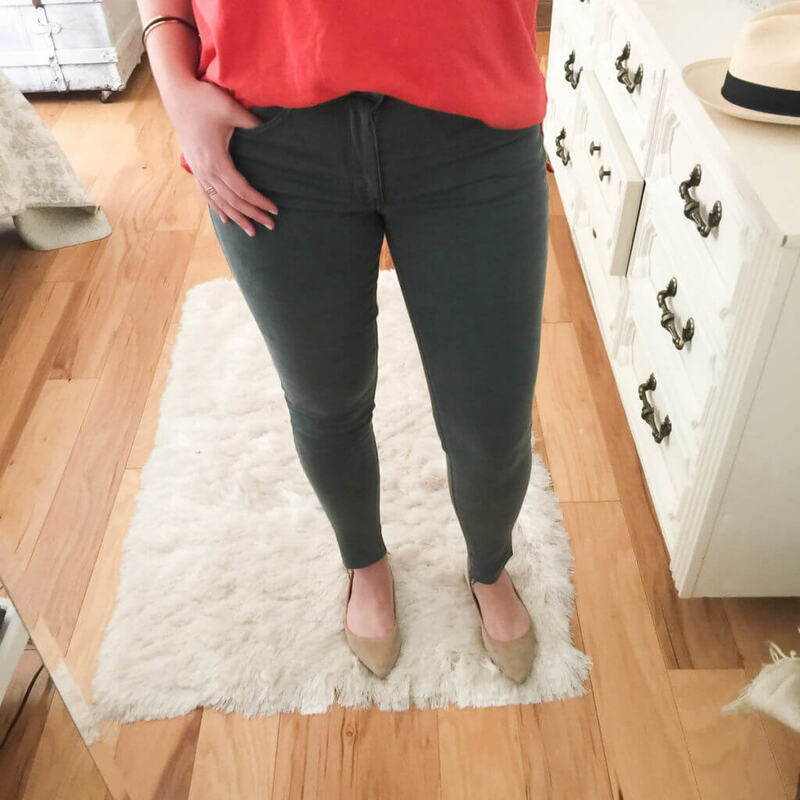 I liked these jeans but not nearly enough as I had hoped. They felt a bit cheap in person and looked way better online and the material wasn’t as stretchy. 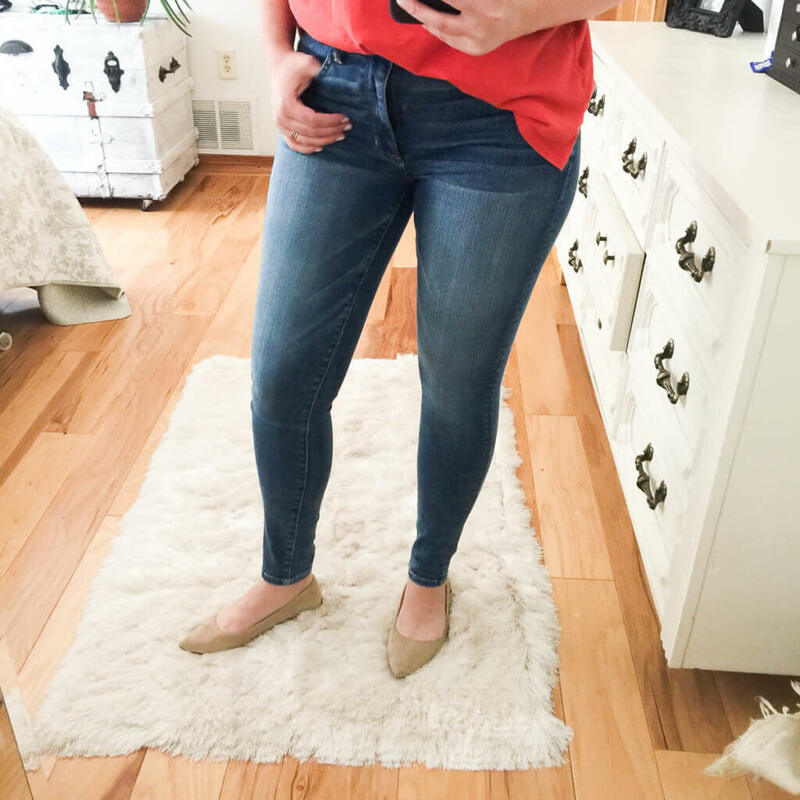 I lalala LOVE these hi-rise jeggings! The look of the material and color online was not one that would have made me think these would end up a favorite. But they were! I liked the wash and the feel. I also loved that there were no rips! 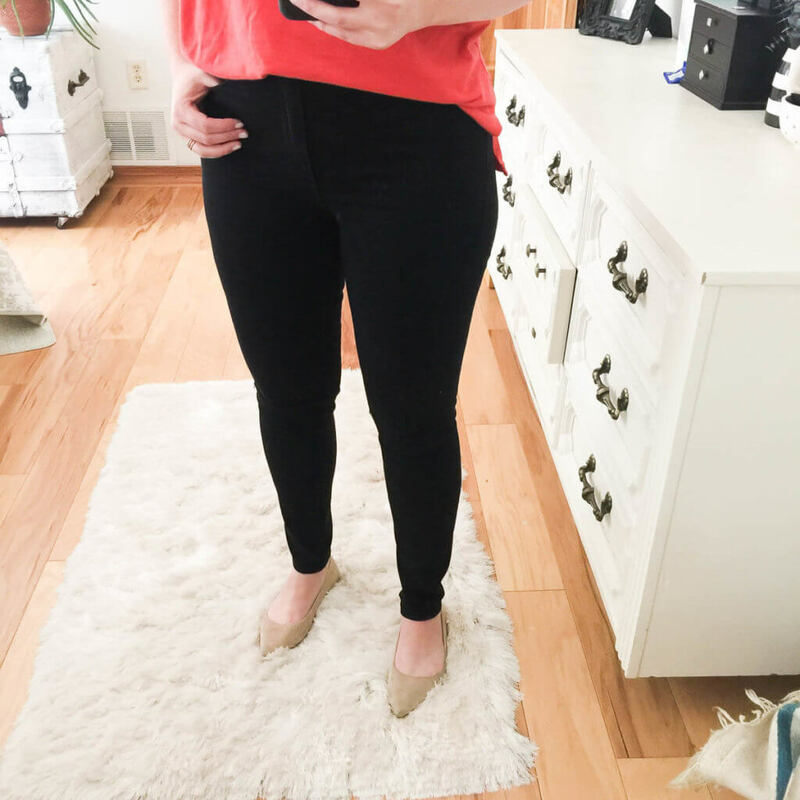 These black hi-rise jeggings were really nice! They had the black torn slit in the knees which felt a little off…but the material was SUPER nice and the waist height felt perfect andddd they are black. 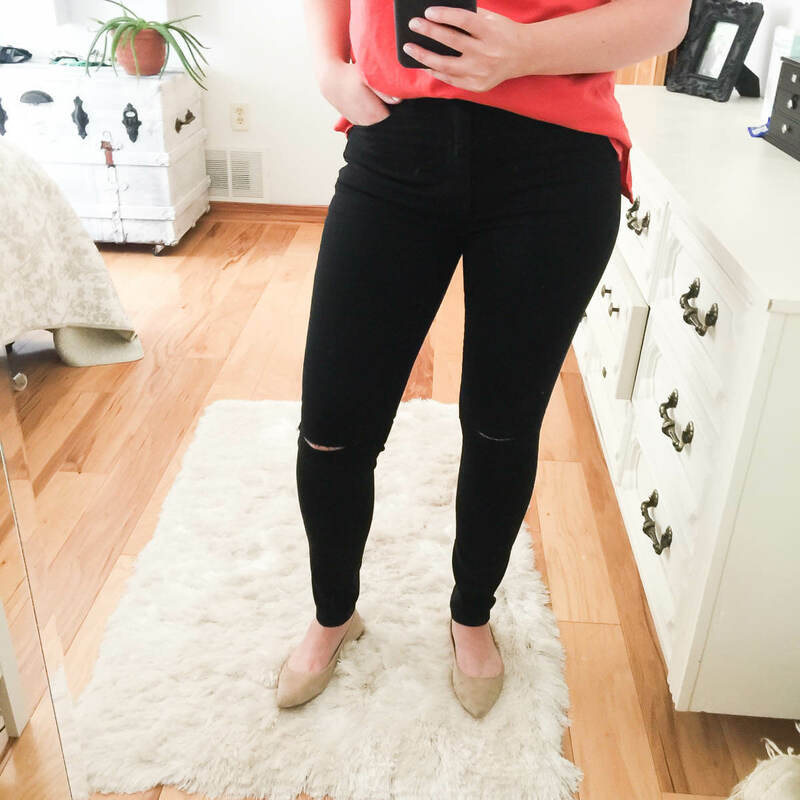 Every woman I know loves a good fitting and fun pair of black denim jeggings. Shop more of my AEO favorites below! I love AE jeans. My favorite is the boyfriend cut. You can only buy them on line but they are available in long and extra long which is really nice since im 5 ’10. Yes! I saw that. So nice to have options! 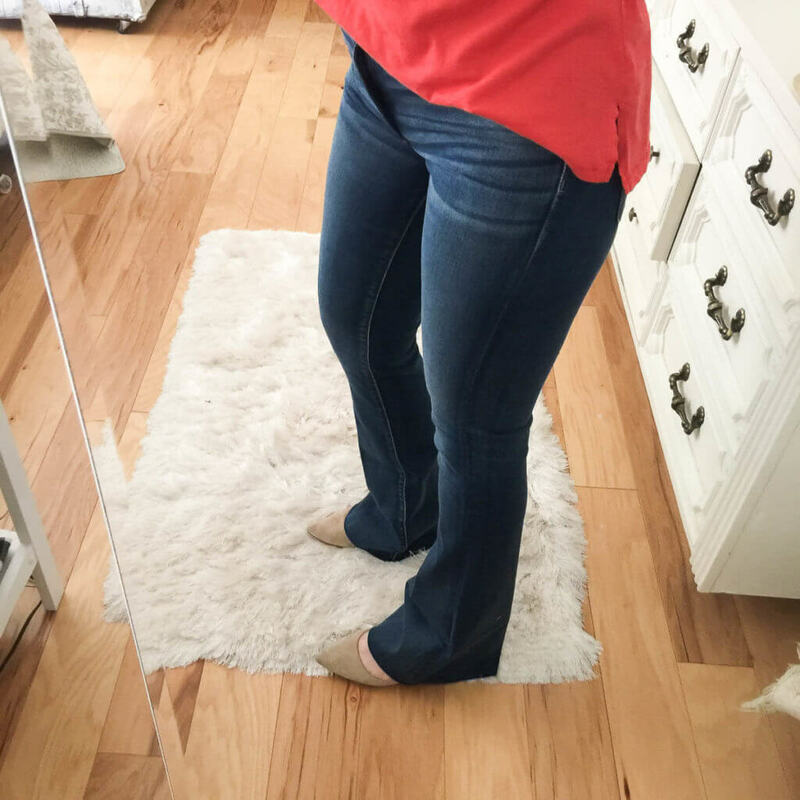 I am 8 months postpartum and still looking for a perfect pair of jeans. I love all of these! 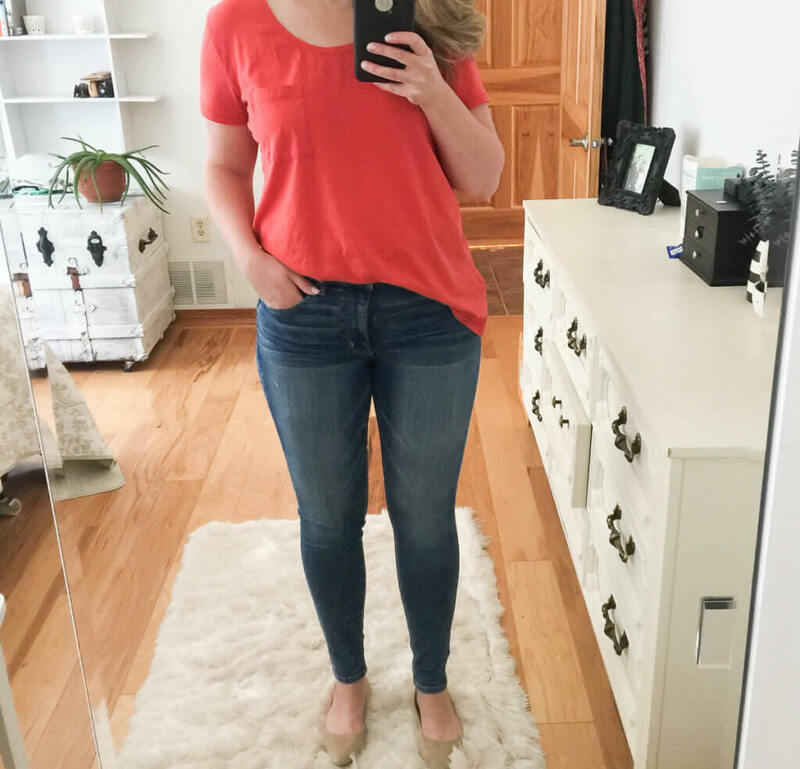 Can I ask what size you typically wear in AE? None of these, apart from the black jegging, looks like actual high-rise. As in, to the natural waist. 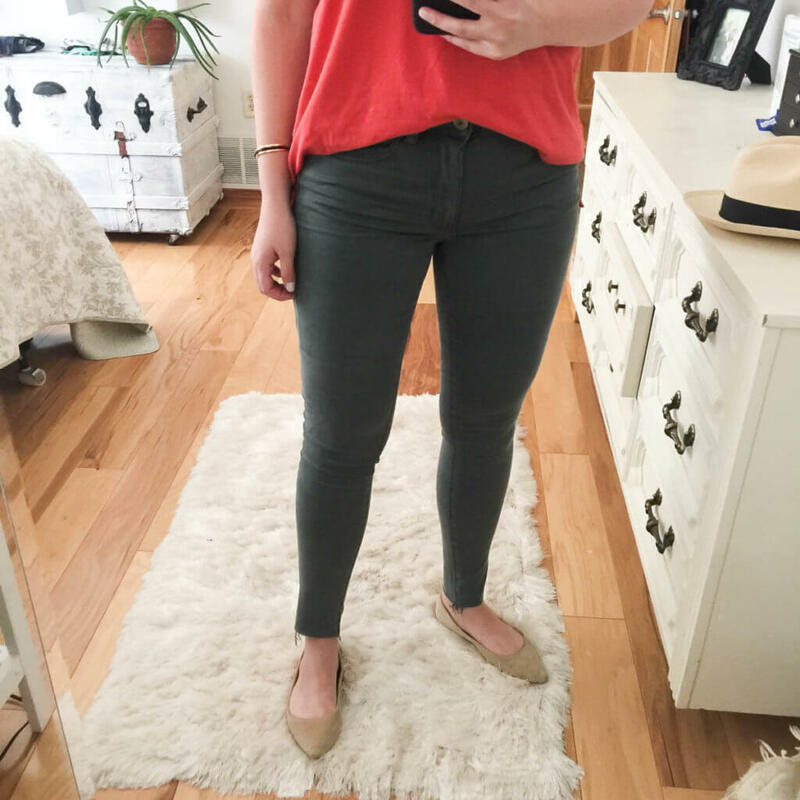 I need jeans that go above the hips. Do all of these just go hip high?